Its called the iris because of the similarity between the iris of a camera which has overlapping plates and the legs of this stool which overlap and interlock. Also the flower ‘iris’ is a three petaled flower, which i discovered later, but was quite kicked to find out! 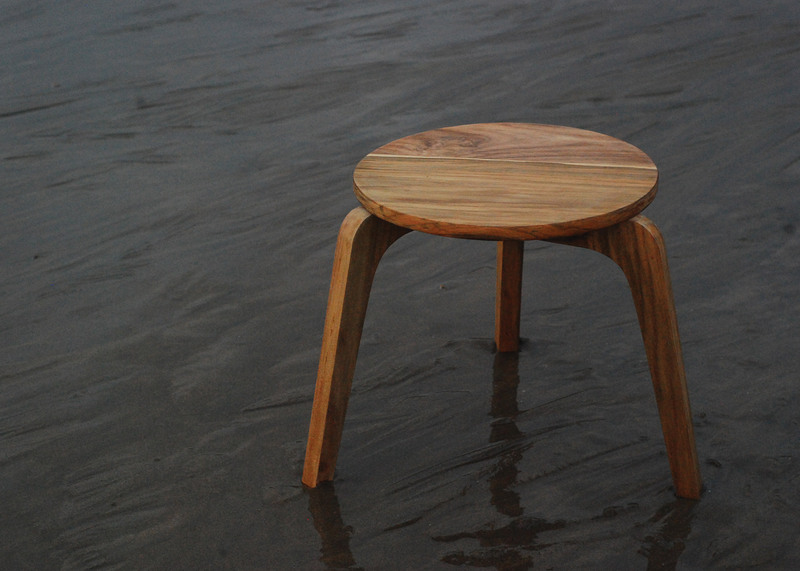 The stool/table will be available in different finishes, from which the user can pick any style to suit the need. I want to explore surface finishes, upholstery, hand painting, wood stainers etc. etc. as of now the prototypes were made in solid wood top and one upholstered top. 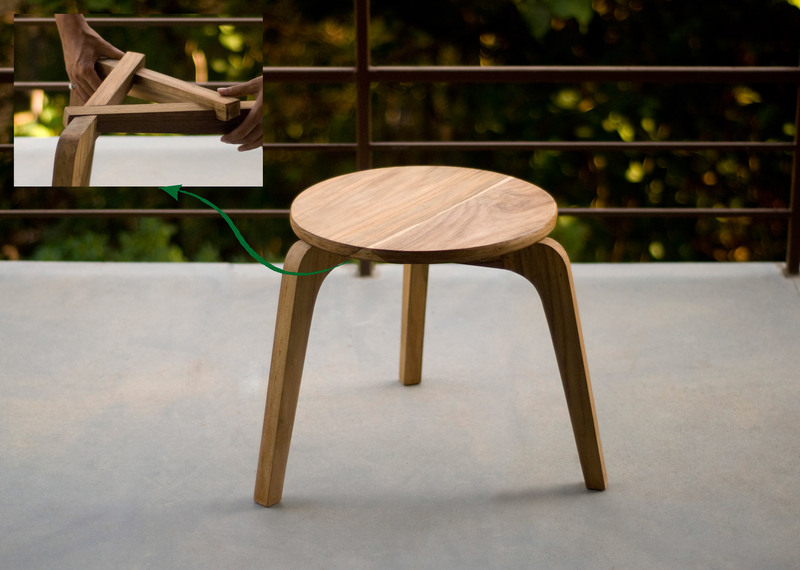 The stools does not use any hardware, and is very easy to assemble. It is easy to transport. Thanks to Divya, a friend who agreed to pose for the shoot. The shoot itself at this lovely beach of Arambol in Goa was so much fun! This product was the finalist at ‘Designmile’, a design competition by ‘Home Review’. The design registration is under consideration.